A gentle ramble. Summers kinda over but we haven't quite reached autumn yet, there must be a name for that mustn't there.... Maybe sumtumn, I don't know. I love these In between times. For instance this morning when walking the dog, it was very misty and looked cold, but it was actually very warm. The leaves are just hinting that they will soon turn to rich golds, reds and coppers, and fall to the ground. 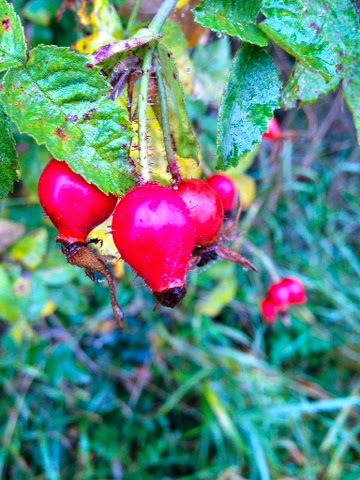 The blackberries are almost over but the rose hips are at their best. 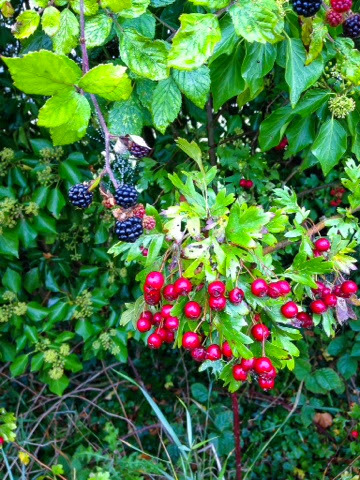 The hedgerows are full of ruby jewels ready to feed the birds. As the mist starts to lift the colours are muted, the earth looks almost mauve and the green is such a rich but pale sage. My poor old dog has to wait patiently whilst I snap away on my phone. 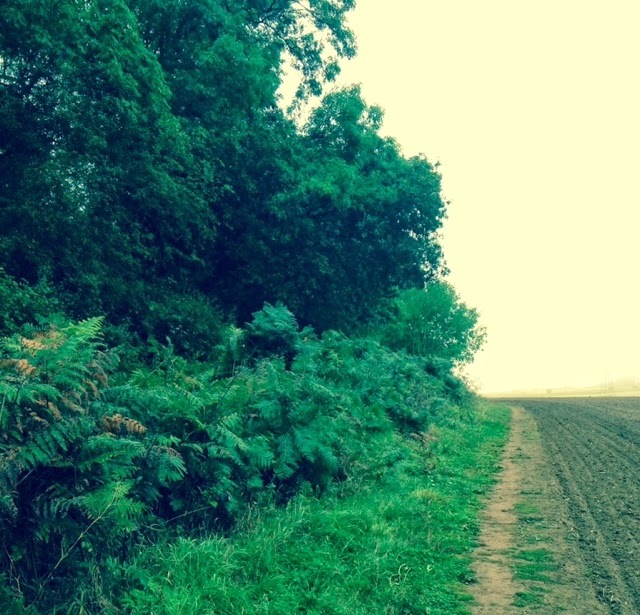 It feels great to be out, in the fields, just me and my hound.